Lilian Tsourdi holds an undergraduate degree in Law (Law Faculty-University of Athens), an LL.M. in Public International Law (Law Faculty-University of Athens) as well as an LL.M. in International Human Rights Law (Law Faculty-University of Essex). She holds a PhD from the Law Faculty and the Institute for European Studies of the Université Libre de Bruxelles (ULB), where she is a member of the coordination team of the Academic network for legal studies on immigration and asylum in Europe, the ‘Odysseus Network’. She is also a researcher at the Centre Charles De Visscher pour le droit international et européen (CeDIE) of the Université Catholique de Louvain (UCL); a visiting researcher at the Law Faculty of the European University Institute (EUI); and a Doctoral Affiliate of the Refugee Law Initiative (RLI) at the School of Advanced Study (University of London). Lilian holds a PhD on the administrative governance of the EU asylum policy supervised by Philippe De Bruycker at the Law Faculty/Institute of European Studies of the Université Libre de Bruxelles (ULB). Her research concerned with the interface between national administrations and the EU level, including agencies as well as other EU-coordinated administrative constellations, in the implementation phase. Lilian is also a researcher at the Université Catholique de Louvain (UCL), part of the Équipe droits européens et migrations [EDEM], FER, currently implementing a large scale project entitled ‘Personal Aspirations and Processes of Adaptation: How the legal framework impacts on migrants’ agency’, financed by the ‘Actions de Recherche Concertée (ARC)’ and a Doctoral Affiliate of the Refugee Law Initiative (RLI) at the School of Advanced Study (University of London). She is currently a visiting researcher at the Law Faculty of the European University Institute (EUI) financed by a crédit CCCI of the ULB. 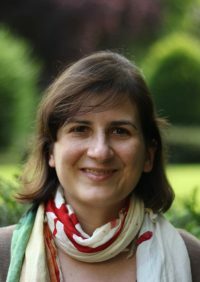 Since 2015 Lilian co-organises and co-moderates a module on EU asylum law in the MA course ‘Refugee Protection and Forced Migration Studies’ of the School of Advanced Studies, University of London. She guest lectures in the LL.M. modules of International Refugee as well as EU Asylum and Migration Law (QMUL since 2014; ULB since 2015). She has also taught courses for legal practitioners (practising asylum lawyers of the ‘ELENA Network’ and judges and administrators in Tunisia in the framework of training organised by DG Enlargement/TAIEX of the European Commission). Her main areas of expertise are EU, Public International and Human Rights Law. A member of the Odysseus Academic Network coordination team, Lilian regularly consults for the EU institutions and international organisations. In the past, she has worked as research consultant for a number of non-governmental organisations (ECRE, CCME, ICMC, ILGA-Europe). For six months in 2012 she was responsible for the follow-up of several legal files as legal advisor to a Member of the European Parliament. Lilian was called to the Athens Bar in 2008 and is currently admitted to practise at the Bar before all Greek First Instance Courts. (Français) Asylum Detention in EU Law: Falling between Two Stools?